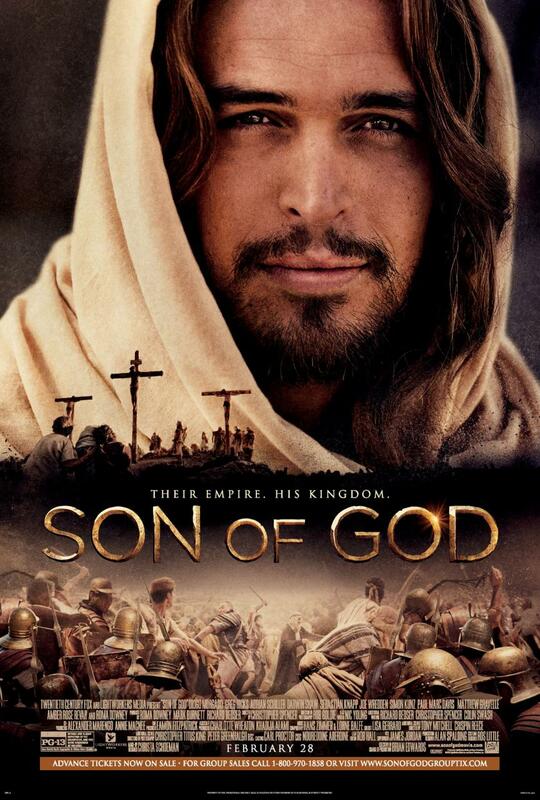 The reason I had access to Mark in the first place was that the Christian Chronicle had gotten me a pass for an advance screening of his new film, Son of God. Before the screening, I had no thought of interviewing Mark Burnett; at most, I thought I might get to query his wife, Roma Downey, as my editor had mentioned the vague possibility of getting to talk with her. However, it wasn’t clear if the interview was to be over the phone, in person, via Skype, by text, or with smoke signals. So I read up on her, thought of a couple dumb jokes (‘How hard was it to learn fencing for Touchéd By An Angel?’ and ‘Roma Downey,Jr. – is your brother tired of being Ironman?’ were my two favorite quips. There’s a reason I’m not a joke writer), and went to the showing. The advance screening itself was exciting to me, for I’ve never attended an advance screening – I always watch movies just like everyone else, after they release. It felt great to walk into the roped off part of the theater and get my “press pass” (yeah, I’m with the media, I’m a pretty big deal), and just when my ego was nearly too big to get through the auditorium doors, I was accosted by some college kid who insisted that he’d been told to have everyone fill out some sheet of paper before going in. Didn’t this kid realize who I was? Surely he should know that members of the media don’t have to do what everyone else does. 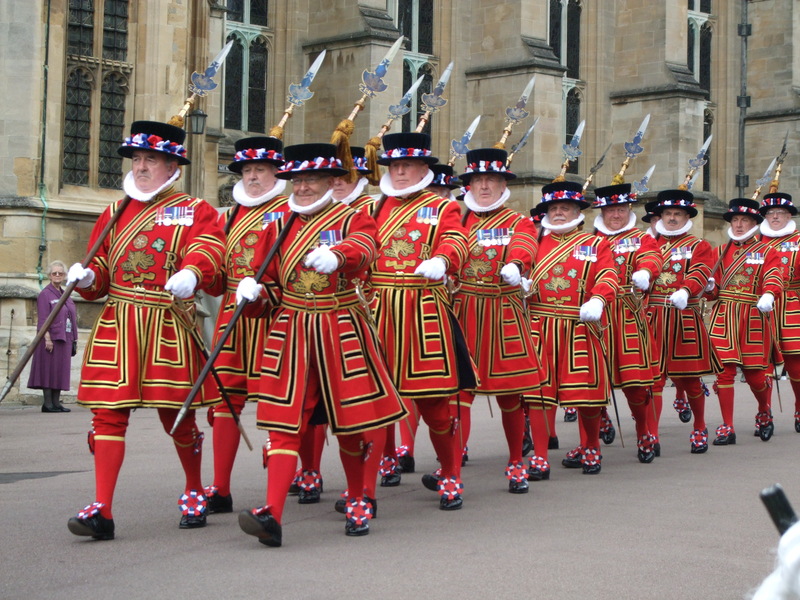 The fact is, I was offended to stoop to such a yeoman’s task. ‘I’ll be reviewing this movie for the masses, junior,’ I thought. ‘Everyone in American will know my opinion of this movie in no time.’ But, the guy was very persistent, so I backed up and started scribbling my information on this stupid piece of paper. Meanwhile, other sneak previewers were walking in completely unbothered by this Nazi door dictator. I was confusticated. In fairness, the poor guy was just trying to do his job, and I found out later that he was a volunteer, and that none of the volunteers really knew what the heck was going on. Anyway, I finally got into the auditorium, never saw that guy again, and never turned in my information sheet. Whatever. Do I look like a yeoman to you?? One of the things that excited me most about this advance screening was getting to sit in seats reserved for media. I imagined myself ahead of time rubbing elbows with professional journalists, trading info and generally networking my way to a Pulitzer Prize right there in the theater. I might’ve been a little ambitious; of the 40-50 media seats, never were there more than 15-20 taken, and I didn’t meet a single person. At least I didn’t have anyone sitting next to me. I was disappointed, but I still felt super important to be in the reserved section. In all honesty, though, the seats were quite a bit closer to the screen than I’d have preferred. The non-media folks were getting the good spots! What’s the point of having reserved seats if the reserved seats stink?? I felt a little jealous, thought about joining the plebeians farther back, and finally decided I wanted to stay in my inferior seat just because it was reserved. Isn’t human nature weird? As I settled into my chair, I realized I was pretty nervous. I wouldn’t have been too anxious about being there, but I couldn’t stop wondering about the Roma Downey interview – would she be there? Would it be via telephone? The suspense was killing me! I sat and waited, trying to seem professional and important. I decided to go use the restroom before things got started. Nobody wants to waste an advance screening by going to the bathroom the whole time! I hurried out, and, in my rush, walked with my head down, not really looking at where I was going. As I got to the restroom, I noticed something seemed different. I turned the corner and noticed a pair of heels facing me under the first stall door. If that wasn’t clear enough, a girl walked around the corner right as I was coming in. I had found the ladies’ room. Oops. I mumbled some words of surprise and apology in an effort to make the girl-who-I-would-never-see-again-but-who-I-couldn’t-have-thinking-I-was-a-weirdo not think badly of me, and I hurried back the way I came. Out of the ladies’ room, I turned the corner, found the mens’ room, and went in to take care of my business. Outside, I heard some hearty laughter and, amidst the guffaws, heard some guys talking about how “some guy went in the girls’ room and came back out like he was shot outta there! !” I was famous. That whole bathroom saga would’ve been avoided had I just listened to this guy. I got back to the theater and settled back into my seat. I was still annoyed with sitting so close, but it brought me a smug satisfaction to think of all paeans who didn’t get to sit in the reserved section. I thought ‘Get to the back of the auditorium, suckers! !’ in an effort to mask the fact that I was clearly choosing an inferior seat simply out of conceit. I still wonder why I didn’t have the self-control to leave behind the “reserved” seats for a better seat with the non-media folks. Again, human nature is weird. The film was to start at 3 pm, but at about 2:57, the lights dimmed, film rolled, and we were off and running. ‘Wow, these people are efficient!’ thought I. Then, about two minutes later, a theater employee walked down front and said “This is an accident, don’t look at the screen!” which got a nice bit of laughter from everyone. Maybe efficient was a bit too strong. So we sat there for another few minutes. 3 pm came and went, and I began to wonder when this thing would ever start. Suddenly, a woman’s voice came over a microphone, a cute Irish brogue. I looked up and saw, shrouded in shadows of the semi-darkened theater, Roma Downey standing with beau Mark Burnett. They were actually there!! So cool!! I started scribbling down notes on what they said, how they acted (he stared at her face nearly the entire time she spoke), and whatever else caught my attention. BTW – I don’t know where those notes are. Perhaps one day I’ll find them. 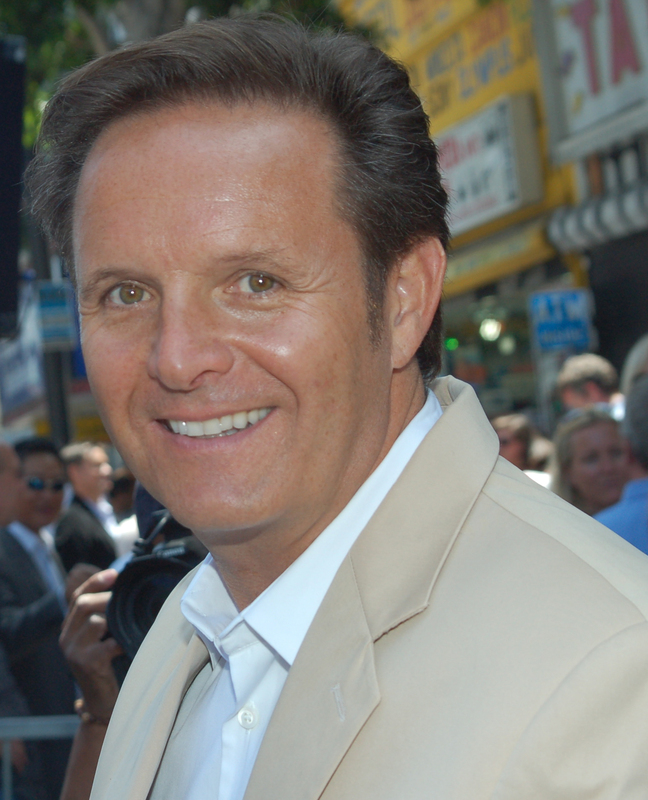 Mark Burnett and Roma Downey – creators of “The Bible” miniseries and the “Son of God” film. Eventually, those two stopped their yammering and the movie started. IMPORTANT NOTE: The coolest thing about the advance screening was the fact that the film rolled sans previews, ads or all the other stuff that happens before a movie. I love previews as much as the next guy, but there is something really grand about sitting peacefully, with no commercials blaring, waiting for the movie to start and then BAM the lights go down, the 20th Century Fox fanfare plays, and you’re under way. Would that I could watch every movie that way. The movie played and that was great and whatnot. After the movie, Roma and Mark made a few more remarks, we prayed, and then we were dismissed. The husband and wife stood down front, shaking everyone’s hand as they passed. I realized it would take forever to meet them this way, and that I couldn’t hold up the line for my interview. I left the auditorium and talked to a couple of young ladies out in the lobby. I mentioned I was supposed to get a few minutes with Roma, but they revealed they were only volunteers, and that they had no idea what was going on. Thankfully, one of them at least knew to connect me with Mishy (pronounced Mee-Shee), Roma and Mark’s personal assistant. Standing in one of the side halls in the auditorium, Mishy and I made small talk as we waited for Roma and Mark to finish talking to all the well-wishers. That took forever; some of the well-wishers were quite long-winded. Turns out Mishy is a self-described “rare breed” – she is from Los Angeles and wanted to get into show business, so she just stayed home and made it happen. I guess most people come to LA, and most natives don’t break into the scene too easily. Who knew? 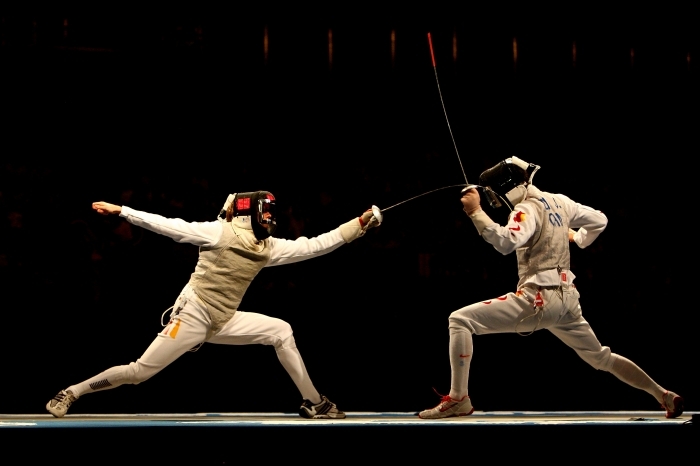 I bet Roma got tired of all that fencing on Touchéd By An Angel. After a few minutes of cordial and professional conversation, Mishy left to track down her people. At that point, panic set in. I had no questions!! I frantically started writing down things to ask, realizing for the first time just how ill prepared I was for this! If only I’d spent more time thinking of questions instead of bad jokes, I despaired! Thankfully, I was able to jot down four or five really solid topics. I began to breathe a bit more easily. Mishy was gone for so long that I actually ended up getting bored. I sauntered into the auditorium to see what was going on. Mark and Roma were still at it, talking to the last few straggling advance screeners. They were amazing to watch – both were fully engaged with complete strangers, relating to each point the people made, showing no sign of weariness. This went on for another 10 minutes, and finally the people left and Mark and Roma started to walk toward where I was standing. As they approached, Mishy introduced me and told them I was there for an interview. I shook Mark and Roma’s hands, and tried to seem really friendly and not at all intimidated. That probably means I came off boorishly. Alas. Roma was very quiet, leaving Mark to do all the talking. They were racing off to catch a plane, he told me, so they couldn’t exactly give me their undivided attention. But, he assured me, they needed this exposure! So how about we do something over the phone? I gladly (and thankfully) agreed to talk over the phone. Mishy and I exchanged numbers, and two days later, I found myself on the phone with Mark Burnett. Phone interviews aren’t quite as glamorous as this. During the two days before the interview, I spent several hours watching interviews, reading articles, and developing questions. I’d never interviewed someone like this, so I wanted to make sure my questions were precise, provocative and on point. I knew going in that I only had 15 minutes, but I developed enough questions to fill about two hours. I was ready. On the morning of the interview, I was still incredibly nervous. In fact, I was so nervous that I started considering never doing something like this again. At one minute ‘til, Mishy texted me saying Roma would be calling soon. I said a prayer, turned on my recorder, and waited nervously. The phone rang, I answered, and rather than a cute Irish brogue, I was greeted with “Hello Grant, this is Mark Burnett.” Let’s do this, I thought. The rest is history. PS – Mark was super nice and gave me lots of good info. You can read excerpts from the interview here. PPS – I’m still no closer to being on The Voice. Grant Stevens still hasn’t gotten his Pulitzer, but with the crazy publicity his blog has been getting, he is bound to get one sooner rather than later!! When he isn’t writing, Grant enjoys basketball, tostadas, movies, and reading. Oh, and he does music stuff too! A great comical narrative, Grant! Sounds like you had an exciting and fun adventure. Thank you! It was a blast – hopefully I can do it again :).